We are now at a crucial stage in the NBA Conference semi-finals with all of the match-ups lying firmly in the balance. Both of the games that were played on Monday night means that their series stands at 2-2. In fact, out of the four matchups at this stage of the NBA season, three of them are at 2-2, with only the Clippers holding an advantage at the moment, with their 3-1 lead over the Rockets. The Hawks grabbed a big win on the road in Washington, winning 101-106, and they will be feeling slightly more confident about heading into Game 5. Jeff Teague stepped up for the Hawks, offering 26 points and 8 assists in this road win for the Atlanta side. The Warriors also bounced back and avoided three defeats in a row with an away win in Memphis, the final score ending up 84-101. This is the sort of dominance that many people expect from the Golden State Warriors this campaign, and they will be keen to build on that score line in Game 5. Stephen Curry helped himself to 33 points in this game, obliterating the Grizzlies hopes of winning three on the spin against the team that many are tipping to be NBA Champions this season. There are few more exciting moments in basketball than buzzer beating shots and fans who have been following this series have had plenty of big moments to enjoy and marvel at. The last two games have been decided right at the death, both teams savouring the agony and ecstasy of a late victory and defeat, and expectations are now on the rise for what is going to happen in Game 5. We may be standing at 2-2 but in reality, this series is now down to a Best of 3 matchup and it all starts again on Tuesday. Two wins are required from the next three games (or 2 if there are two wins in a row) and you can bet that both teams will be pushing as hard as they can to get the win. Derrick Rose and LeBron James were expected to be the key players in these games and they haven’t disappointed in the two most recent matches. Pau Gasol remains a doubt for the Bulls and there will be a higher level of pressure placed on Taj Gibson and Nikola Mirotic in this one. The two players combined for 21 points and 17 rebounds in the third game of the series but in Game 4, they only managed to serve up 9 points and 11 rebounds. Rose and Butler were the only two Bulls players that crept into double figures for the fourth game in the series, which perhaps indicates some of the problems that the Bulls had in that game. With Kyrie Irving also remaining a doubt for this game, both teams have their injury concerns and it may come down to which set of reserves are stringer and allow the key players to build from a strong platform. The Bulls are 56-36 for the season so far which includes a 26-20 record on the road, and they have a 6-4 record in their last 10 games. They face a Cavaliers side that are currently 59-31 for the season which includes a 34-11 record at home and an 8-2 record in their 10 most recent games. For average points scored, the Cavaliers lead 102.8 to 100.5 and for average points against, the Bulls lead 97.1 to 98.2. 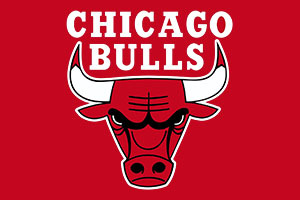 Taking the Bulls at +5.5, at odds of 1.90, is a decent bet given the close nature of the last couple of games in this series. Bet Now! The Clippers know that if they can grab a win on the road, they will have notched a historic achievement. Chris Paul is reportedly getting closer to full-fitness with his hamstring injury and the increasing number of minutes he is getting in games is a big bonus for the Clippers. The Los Angeles side have already equalled their franchise record of seven wins in a Playoff campaign and they now have three chances to beat this record, and obtain passage to the next round for the first time in their history. This may place a weight of expectation on the players but it should be something that the players feel inspired by, as opposed to something that is going to weigh them down. There are many that think the Rockets tactics of heavy fouling played into the Clippers hands in the last game, giving Paul a chance to rest between plays. It will be interesting to see if they follow a similar pattern of play going into this game. The Los Angeles Clippers are 63-30 for the season which includes a 29-17 record for the road and a 6-4 record in their last 10 games. The Rockets are currently standing at 61-30 for the season which includes a 34-12 record at home and a 6-4 record in their 10 most recent games. With respect to average points for, the Clippers lead 107.0 to 104.4 and for average points against, the Clippers lead 100.5 to 101.8. With a chance to progress further than the team has ever managed before, taking the Los Angeles Clippers at -2.5, with odds of 1.90, is likely to be a great bet for Tuesday in the NBA. Bet Now!